As experts in the field of indoor cycling and Spinning equipment, Origin Fitness have always tried to ensure that our range of stationary bikes have offered the most realistic cycling experience. We are now thrilled to announce that we have become authorised distributors in Scotland for Wattbike. Wattbike is the indoor cycling training solution of both British Cycling and Cycling Australia, two nations with the most effective competitive track cycling programmes in the world. 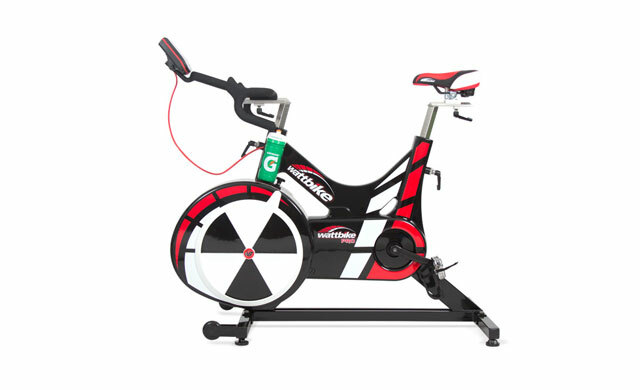 The Wattbike product is also endorsed by the likes of the English RFU, British Rowing, Manchester United and individual athletes including Jessica Ennis and several world class track cyclists. The reason the Wattbike is such a great addition to the Origin Fitness range, is that no other indoor cycle has been embraced or endorsed as fully by the cycling community. The Wattbike is the indoor cycle which professional cycling finally accepted as proof that an exercise bike can offer a realistic and effective cycling training system. The Wattbike is designed so that you can replicate the setup of your road bike exactly on and the unique air brake construction that allows the flywheel to keep spinning like the wheels on your road bike. The other main advantage to training on a Wattbike is that it's ANT+ computer provides is extremely accurate power output data. The amount of power produced is calculated from the force applied to the chain through the cranks (sampled 100 times a second). Each Wattbike is factory calibrated and is accurate to within +/- 2% over its full range. This entry was posted in Just Launched on 19th April, 2014 by Colin Evans.